Laura Sacks was recently trained by Al Gore and team as a Climate Reality Leader, the only one in the West Kootenay. She has a background as a water scientist and organic farmer, and currently spends her time on climate advocacy. This was a great event- lots of new info and community input. Laura is a wonderful presenter. Below is an article on what the Citizen's Climate Lobby is about, and Laura is available for presentations. Contact info below. The Climate Reality Project, founded by former Vice-President Al Gore, is a global network of citizens committed to solving climate change. Over the course of three days, Laura Sacks participated in training sessions on climate science, solutions to solve the crisis and communications techniques to rally Canadians behind those solutions. 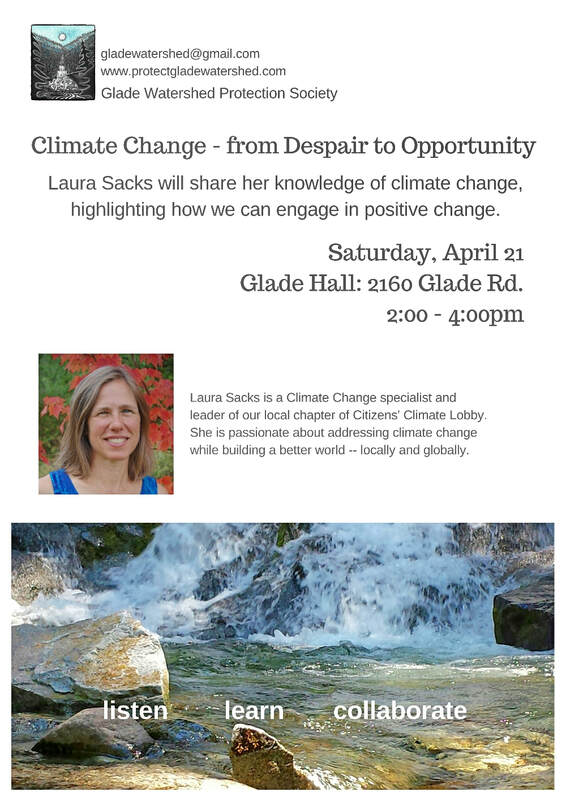 Sacks has also committed to delivering free presentations on climate change to her community. She hopes to convince the citizens of West Kootenay region and its local elected officials to collaborate and accelerate the transition to a low-carbon economy. The Climate Reality Project Canada is the Canadian branch of a non-profit organization dedicated to mobilizing action around the issue of climate change. So far, the movement’s Founder, former US Vice President and Nobel Laureate Al Gore, has trained over 10,000 Climate Reality Leaders around the world, whose role is to promote education and action with regards to the climate crisis. There are over 600 active Climate Reality Leaders across Canada. For more information, visit www.climatereality.ca or follow us on Twitter at @Reality_Canada.